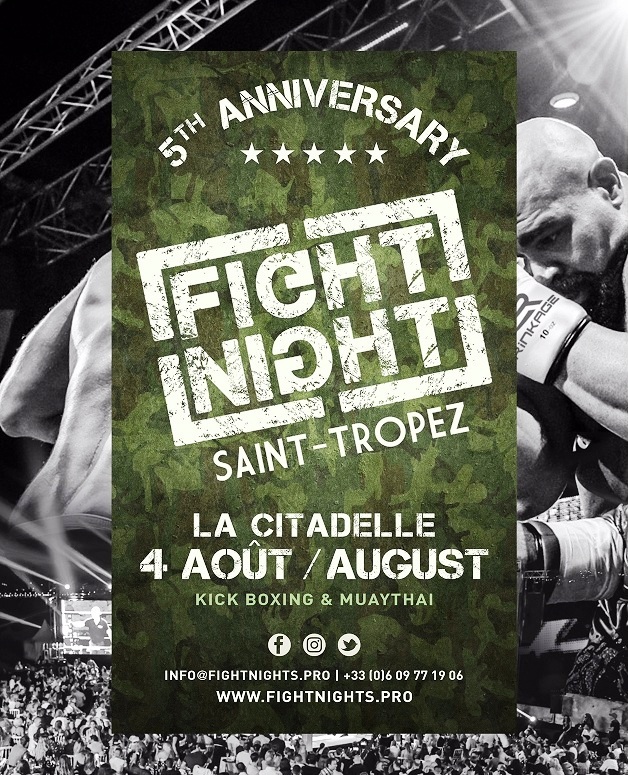 Fight Night Saint Tropez 2017 features on the program of Dark Fight series on L’Equipe 21 and SFR Sport 5. The event is the fifth promotion of the unique VIP event in kickboxing, that gathers the A-list celebrities and notable kickboxers under one roof. World kickboxing champions out of France Yohan Lidon and Gregory Tony, as well as renowned American Bob Sapp partake in the event among others. Fight Night Saint Tropez 5 fight card is in makes.